Maybe some of you thought about how to let some RaspberryPi’s communicate with each other wirelessly. 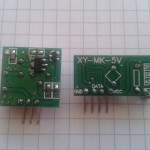 For this purpose small 433MHz modules are ideal, which are already available for a few bucks. Therefore in this tutorial I want to show how two (or more) RaspberryPi’s can “talk” with each other. But do not worry, if you have only one Raspberry Pi, you can do it also. 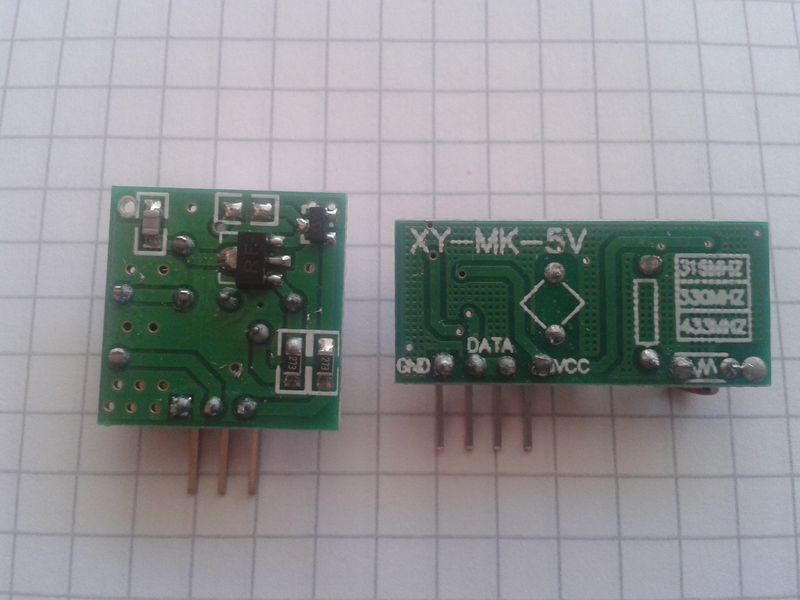 The set consists of a transmitter (square, 3 pins) and a receiver (4 pins). Both are very small and therefore also ideal for other purposes. The receiver module has two data pins in the middle, from which we only need one. 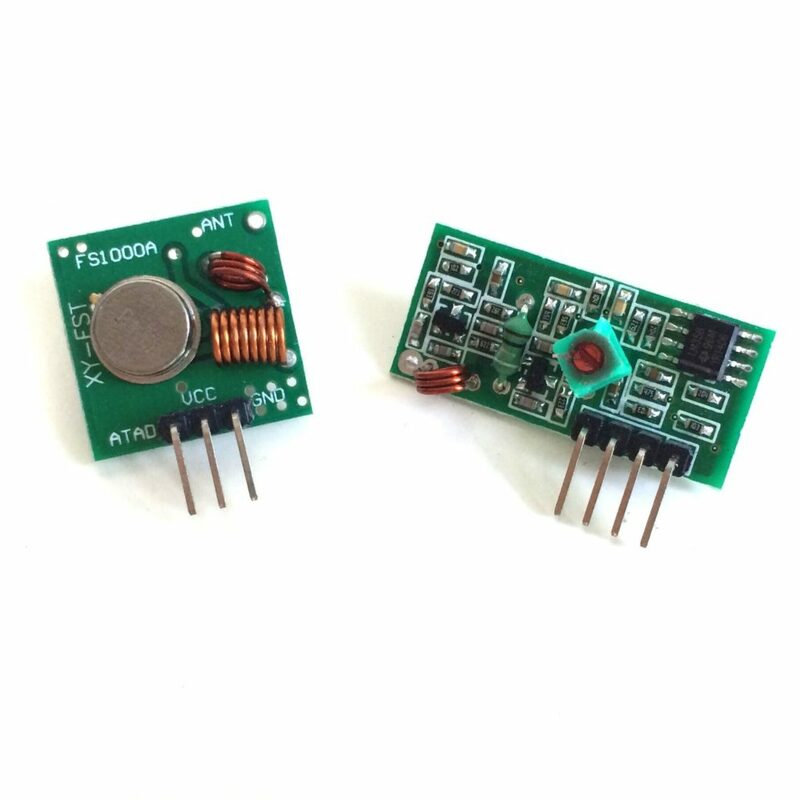 If you have only one Raspberry or you want that two Pi’s can send and receive, connect transmitter and receiver to the same Pi. Before we can test the actual software, we need a few libraries. Theses must be installed on all Pi’s that are communicating. First of all wiringPi is required. If yave you already installed this previously, you can jump to the next installation (if the command gpio -v returns a result, it is installed). First, we update the packages. This may take several minutes. Then we clone wiringPi (git must be installed) and install it. Now gpio readall should show the pin allocation. We need a library that simply allows us to send our data via the transmitter and receive it through the receiver module. This library contains corresponding scripts for both Arduino and Raspberry Pi. Now we go to the folder containing the scripts for the Raspberry Pi and compile them. Now it‘s time to test. To do this, we activate the receiver first. Make sure that you are in the folder 433Utils/RPi_utils. As soon as a code is received, it will appear here. Next, we want to send. For this we go to the other Raspberry and run the following command (if you have only one Pi, just open a second shell window, eg by using putty). The sent number you can enter by yourself. E.g. by using ASCII numbers, a text can be send. I would like to know which raspberry pi version you used . I’m stuck at not receiving and signal using ./RFSniffer. 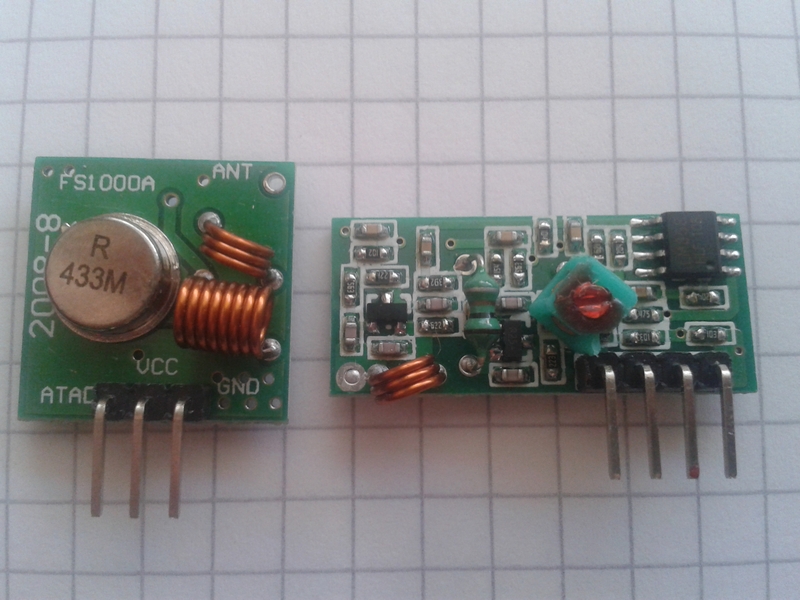 Isn’t supposed that you would fry your Pi if connecting the receiver (5v) to your GPIO pin (3.3v) without a divider? can i add a log to trace my error? Looking to do this as a project for high school kids. They are new to the Raspberry Pi. Can you provide more details? How do the female jump wires and breadboard fit in? Are there instructions for connecting them? Connecting them is really straight-forward, there is not much that can be done wrong. “*** no rule to make target ‘…/rc-switch/RCSwitch.o’, needed by ‘send’. stop. Can you be more specific on what part you are stuck on? If its compiling 433Utils you made sure its inside wiringPi directory right? What kind of distance can one achieve between units? I can´t compile One who knows why. 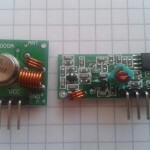 make: *** Ingen regel för att skapa målet ”../rc-switch/RCSwitch.o”, som behövs av ”send”. Stannar.